Jaybird 2.2.x and earlier and Firebird 3 (alpha 1). Firebird 3, let me know. The Firebird JDBC team is happy to announce the release of Jaybird 2.2.3. 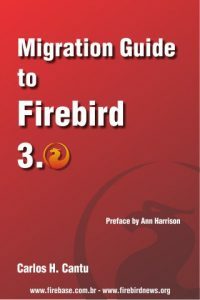 See http://www.firebirdsql.org/en/jdbc-driver/ for the downloadlinks. The artifactId depends on your target Java version: jaybird-jdk15, jaybird-jdk16 or jaybird-jdk17. More details are available in the Jaybird 2.2.3 releasenotes. Jaybird 2.2 is the next Firebird jdbc driver release with many fixes which will include improved support of the JTA specification (XADataSource and XAResource interfaces). Additionally it already has improved support for OpenOffice.org/LibreOffice Base component, which deviates in some places from the JDBC 3.0 specification.